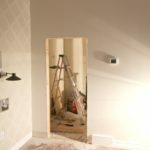 When we moved into Green Acres, we knew that we would be doing a complete overhaul of our new home. 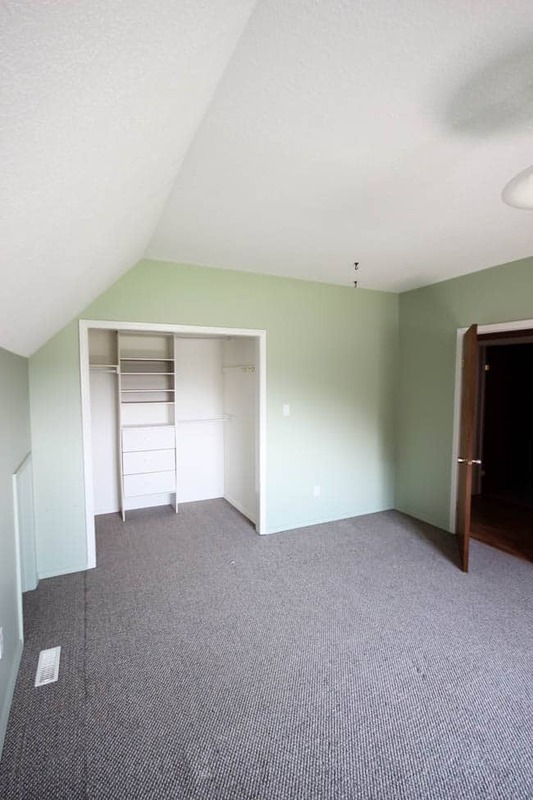 From paint to flooring, from hallways to bedrooms, and everything in between. 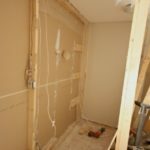 Renovating this closet was somewhere near the top of my priority list! 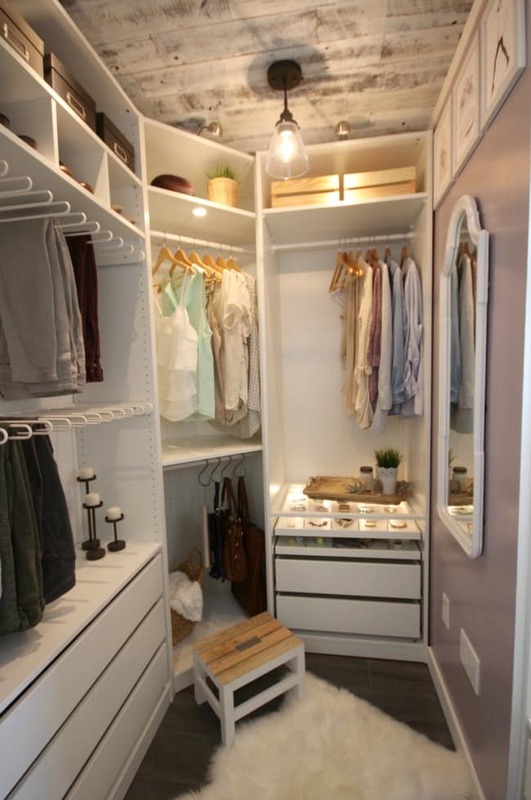 I mean, I moved from this beautiful walk-in closet! I knew I couldn’t recreate my old closet with this smaller space, but I’m thrilled with what we were able to accomplish. 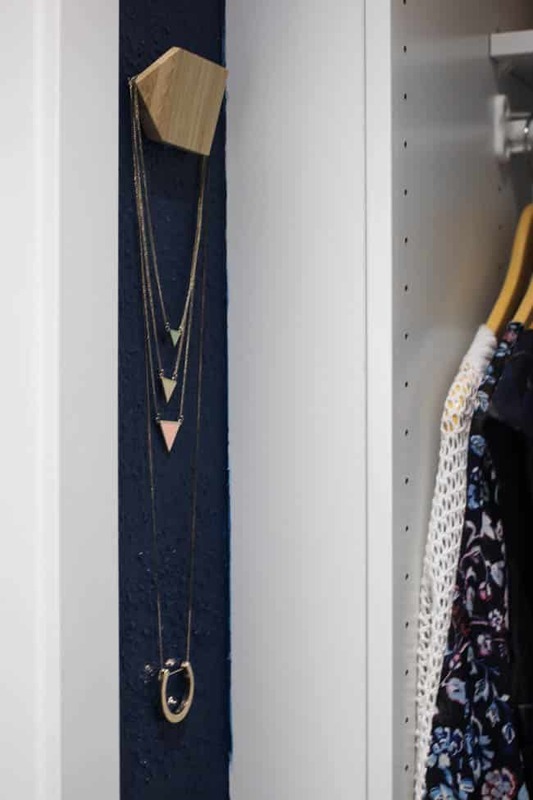 Check out our new dream closet! Just to refresh your memory, these are the BEFORE pictures of the space. It’s so strange to look at these pictures now, because our new space looks completely different – and is waaaay more functional! 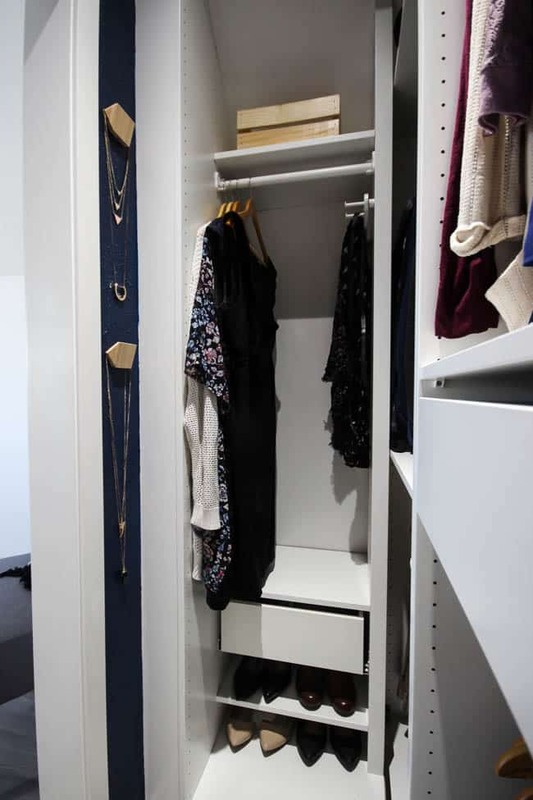 You can see that even though it had some built-in storage, there was no way we could’ve used this as a his & her closet before the renovations. 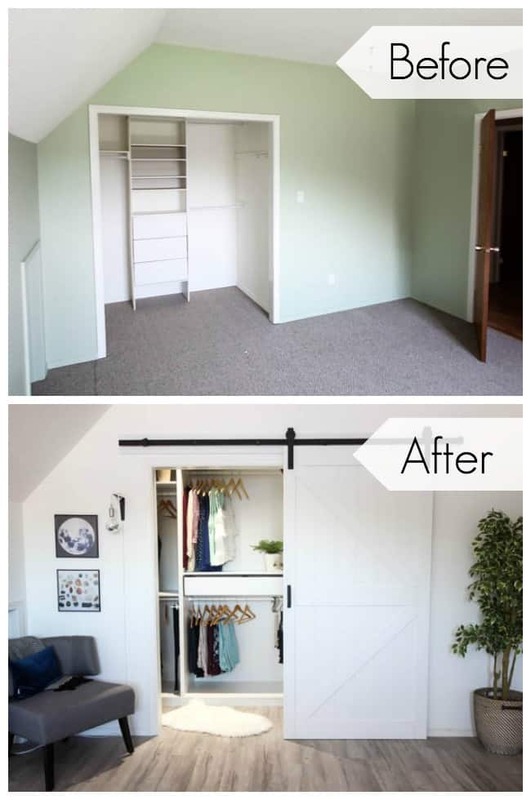 So we came up with a new plan in this closet design post, and then got to work on our closet makeover! We put new vinyl plank flooring down in the entire room (watch our video tips here! ), then we painted our textured walls (& shared some tips here! 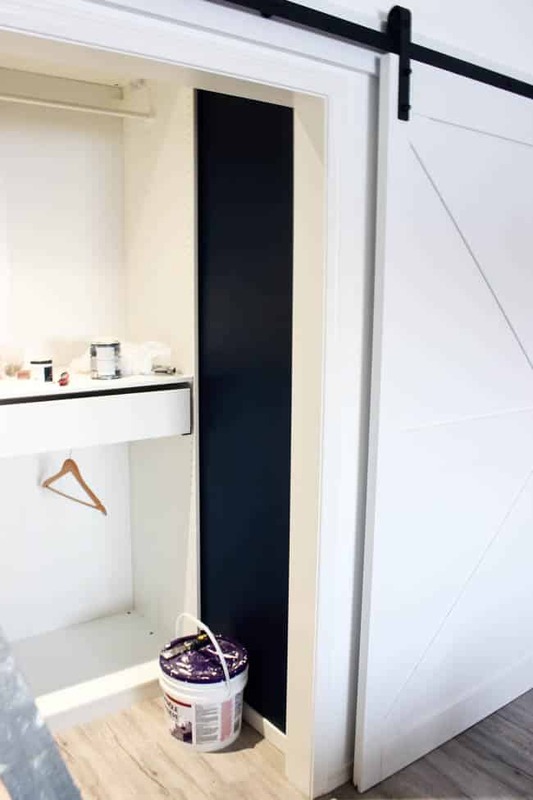 ), and finally added our new white IKEA wardrobes! The white barn door we added was not a standard door. 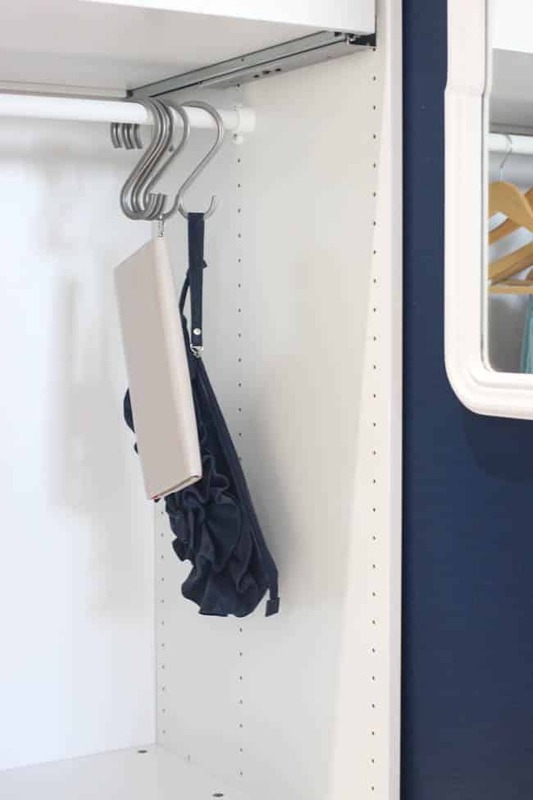 It’s a bit wider than a typical doorway, which was perfect for our wider closet entry. To be honest, the door stays open 90% of the time, lol. 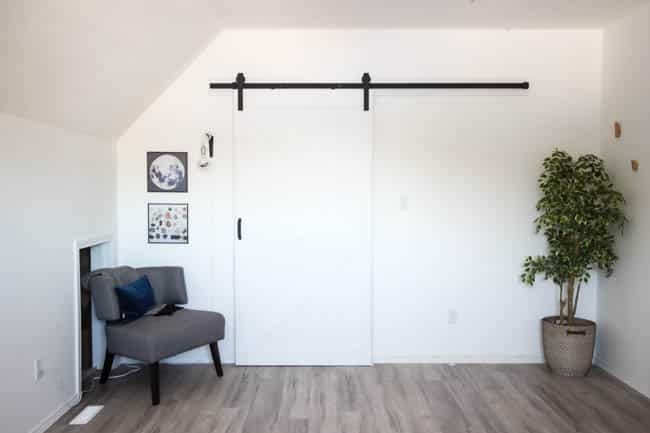 Barn doors are often put in the “rustic” category, but this barn door looks perfect in our modern space! It brings just the right amount of texture and character. 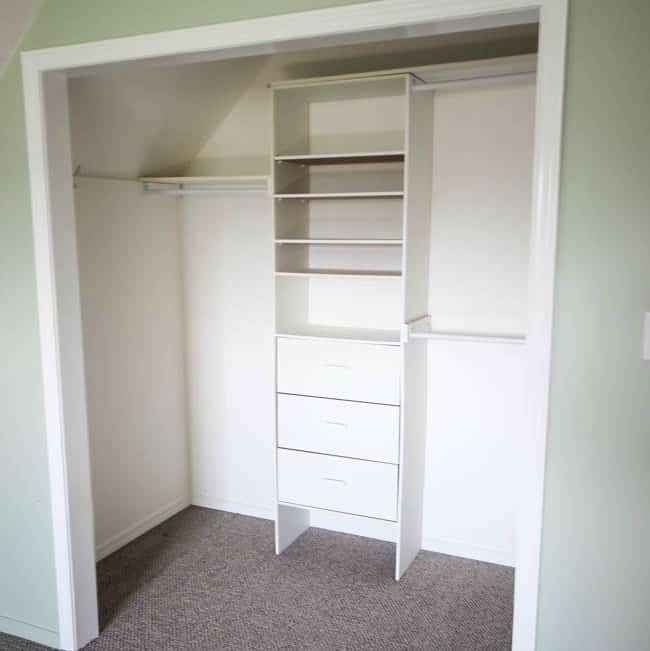 I love the IKEA wardrobes for closets. 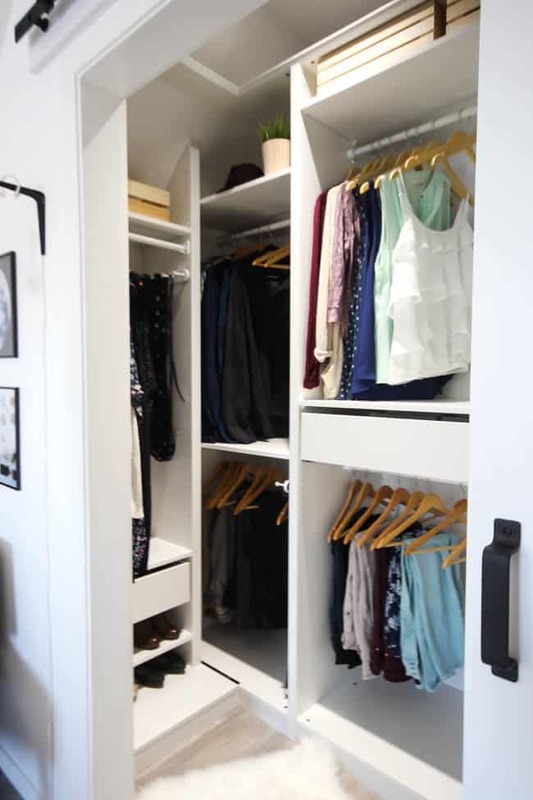 My dream closet from my old home, used an older IKEA corner unit that is no longer available. The new corner units are a bit more square, but they work great. They are set-in so that you can easily reach in. You can see exactly what I mean below! 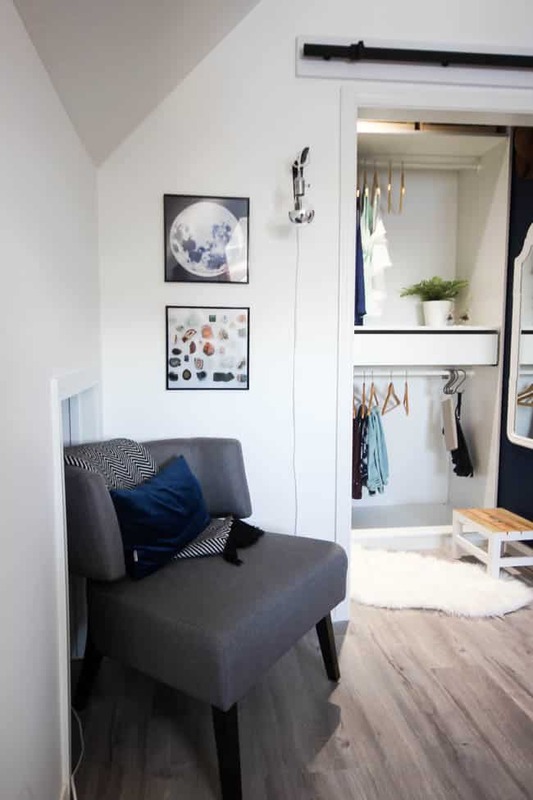 To dress up the outside of the closet, I added a simple chair, a some photos and a hanging light. 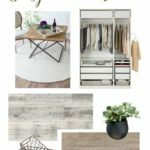 I’d love to hear what you think of our new closet! 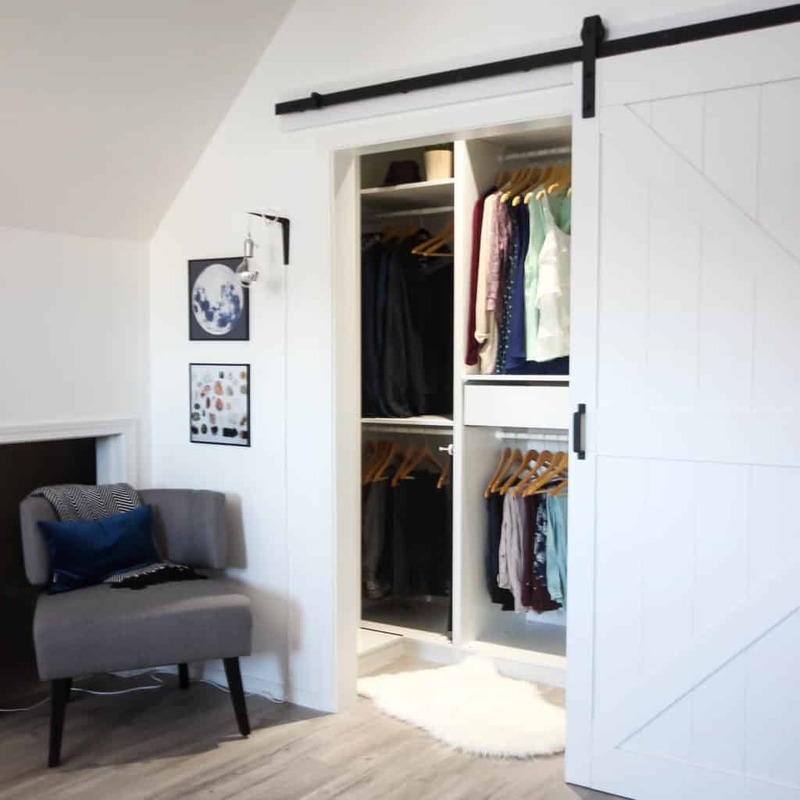 If you haven’t see my other closet, you’re definitely going to want to check out that Dream Closet HERE! It looks SO good!!! 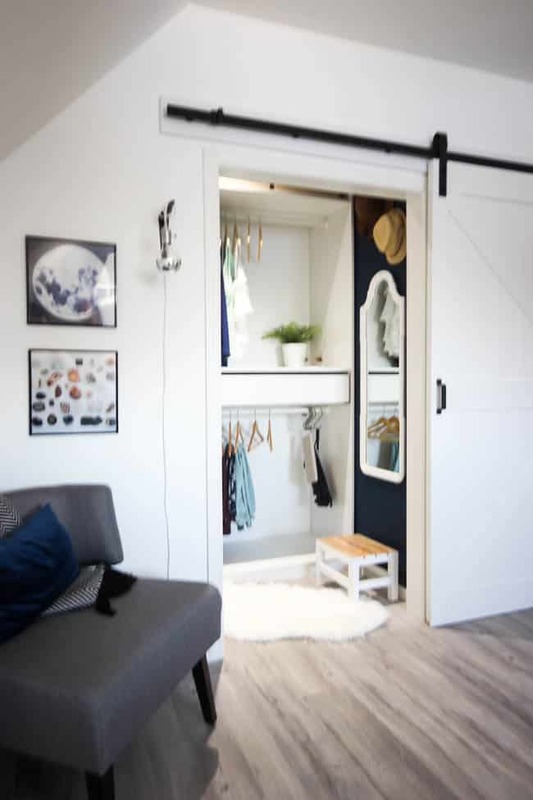 I can’t believe all that extra space you found in there and that sliding barn door is absolutely perfect! Thank you so much!!! It’s amazing what a little organization can do! The closet feels a bazillion times bigger now! Thanks for sharing! I love your closet. 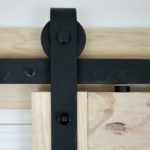 What specific Ikea closet system did you use? This is gorgeous!! We are about to undergo a similar project. Can I ask what the dimensions of the closet are? 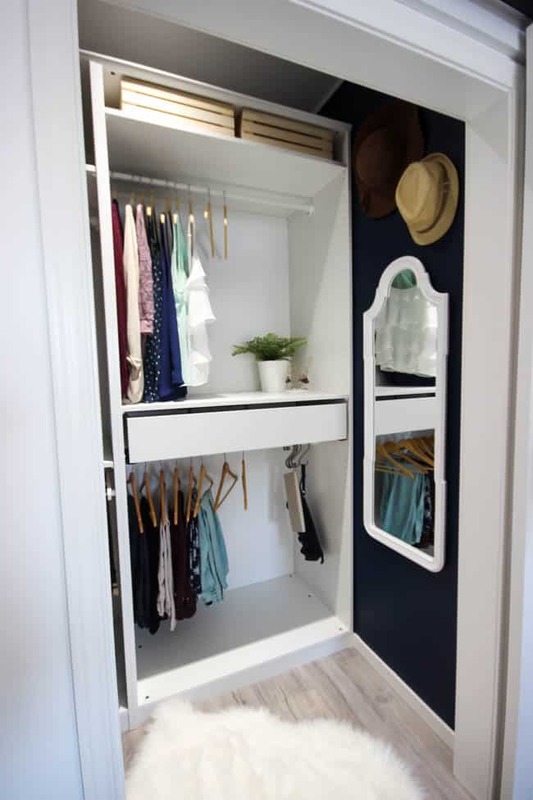 My hubby is convinced we can’t do something like this but your closet size seems like it might be a similar size to ours! I was able to check! Our dimensions are approx 6’ 8 1/2” wide and 4’ 4” deep. Hope that helps!